In the past week, the variants of the alleged Xiaomi Redmi 6A and Redmi 6 Plus were found listed at 3C and TENAA regulatory bodies in China. Today, three new Xiaomi phones with model numbers M1804E4A, M1804E4T and M1804E4C have surfaced on the website of CCC. These model numbers suggest that these could be three variants of an upcoming Xiaomi phone. The 3C listing of M1804E4A, M1804E4T and M1804E4C Xiaomi phones reveal that they are enabled with support for 5V/3A, 9V/2A and 12V/1.5A charging. The M1804E4A/T/C variants were also spotted on CMIIT in April. Through the charging rates, it can be assumed that it could be a high-end phone. However, nothing else is known about these unidentified Xiaomi devices. The M1803E1A/C/T and M1804E5A model numbers that have surfaced recently could respectively belong to the upcoming Xiaomi Mi 8 and the rumored Xiaomi Mi 8 SE smartphone. According to a Chinese publication, the newly spotted M1804E4A/T/C model numbers could be the variants of the rumored Mi 6s smartphone that may get unveiled alongside the Xiaomi Mi 8 and Mi 8 SE at the upcoming Shenzhen event on May 31. It is being speculated that the Xiaomi Mi 6s could be the notched display edition of the original Mi 6 phone. Hence, it may borrow most of its specs from the Mi 6 smartphone including the Snapdragon 835 chipset. The notch of the phone is unlikely to feature 3D facial recognition. 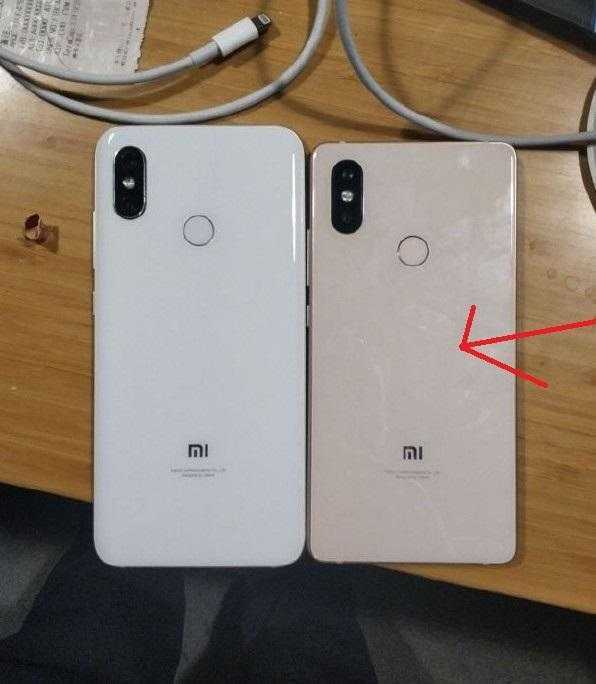 In the previous month, a leaked photo showing a mysterious phone (one on the right) with a vertical dual camera setup and rear-mounted fingerprint scanner had appeared on Weibo. Hence, the Xiaomi Mi 6s may sport a rear design that is similar to other Xiaomi phones such as Mi MIX 2s and Redmi Note 5 Pro. The Mi 6s may arrive with the original pricing of the Mi 6 smartphone. Hence, its 64 GB storage + 6 GB RAM and 128 GB storage + 6 GB RAM variants are speculated to arrive with respective pricing of 2,499 Yuan ($389) and 2,799 Yuan ($436).